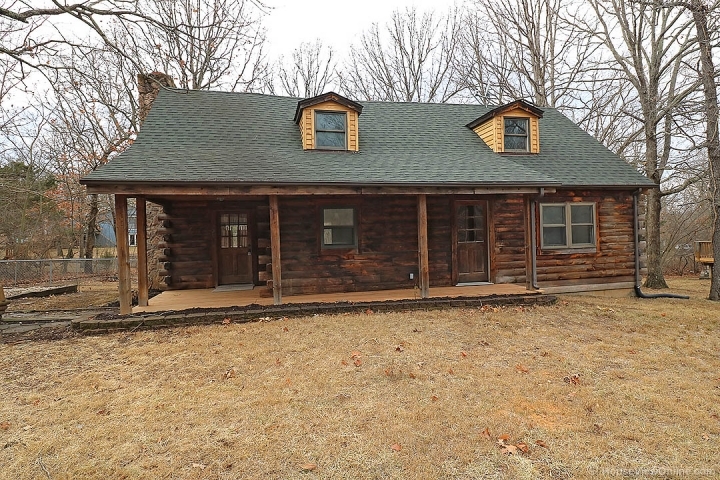 Cute Loft Cabin in the Terre Du Lac subdivision! This home has a very peaceful setting, with woods separating the neighbors. Brand new cabinets, upgraded appliances, fresh wood on the front porch, newly constructed deck on back, and new carpet and pad. The loft can be used as a third bedroom as well. All this home needs is some decorating and it could be beautiful. The yard is also larger than is looks. The survey stakes show the right side yard extending all the way to the small bushes separating the home and the neighbor to the right. Come check it out!